productive day….set up four more grazing paddocks in the ell for the horses…opened a new paddock for the horses…opened a new paddock for the bulls….cut the grass around the trailer and the dog graves….let the horses graze the lot by the barn….then in the afternoon mowed that one as well. roto tilled where I had the bean bales last year…had to make some repairs to the raised bed….went and got more filter fabric and a sheet of plastic…put plastic over the raised bed and prepped for peppers. 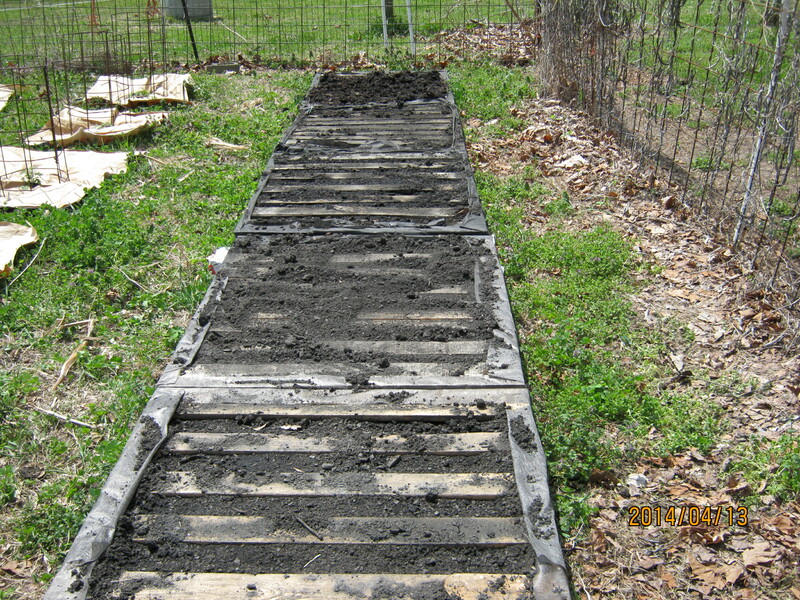 finished two more pallets for the pallet garden….found some baling twine on the tiller from the bean bales…cut that off….chores and in for supper….if I have the energy after supper I may try to plant some stuff in the pallet garden….but I am near wiped out…. 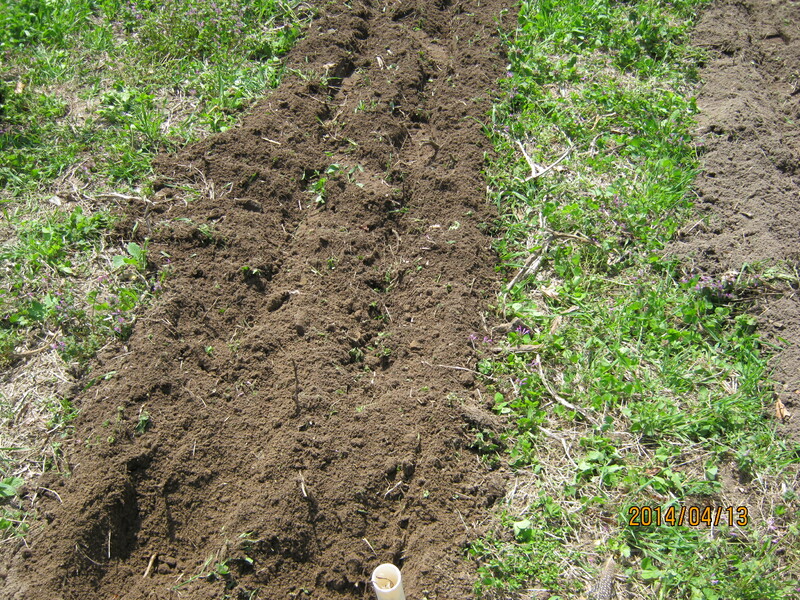 not as productive as yesterday but still got a lot done….breakfast at Dennys….stop by food lion for some stuff….put together supper in the crock pot….outside…planted butter bean and green beans in the pallet garden…planted some more lettuce as the first is showing signs of coming up….laid out for six more tomato plant sites….put wooden strips down on the plastic where we will plant the peppers….fired up the rotor tiller and tilled two rows….it was difficult to know I was killing some soil but satisfying to see the change in the soil from ten years of no till and adding organic matter….took a picture of it but not yet downloaded….I decided to strip till rather than use herbicides…..I am going to plant corn and pole beans in the same rows and also going to plant some sugar beets and carrots…..going to sow each tilled row to clover as soon as the veggies are planted…..interrows will be mowed with the mower as usual….Allison Joy brough her son Charlie over to see the goats….Charlie will be six in October and was born the same week My friend and neighbor Jack died….fixed the stable gate….worked on the riding mower to get it started….desperately needs a new air filter…chores…supper…crock pot buffalo chicken over egg noodles with a salad was good….hot bath and as soon as I type this off to the sofa and the idiot box….